Worry no more, because our dear friends at the Climate Ride have recently announced that they will be hosting not one, not two, but THREE incredible cycling adventures this year. Among this year’s once-of-a-lifetime events include cycling in California wine country (May 17 - 20), a cycling tour of craft breweries in the Midwest (Sept 6 - 9), and, finally, a high-octane ride from New York to Washington, D.C. (Sept 20 - 24). 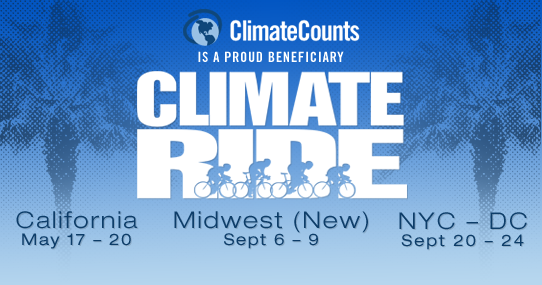 If you’re unfamiliar with the Climate Ride, they provide an opportunity for up-standing individuals (like you) to make some money for a good cause (like climate change), that will eventually help to fund reputable organizations (like Climate Counts!). So don’t delay, sign up today. The world depends on it! Ps… when you go to sign up, don’t forget to choose Climate Counts as your beneficiary organization!